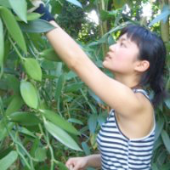 Grace Leung is a passionate sustainability professional with a background in applied ecology and entomology and a multidisciplinary approach to solutions for a sustainable and just world. Currently Grace has a science and modelling role at the Wellington Regional Council in the Collaborative Water Management Strategy. Since 2015 Grace has worked as a project assistant and researcher for the Alliance for Responsible and Sustainable Societies, providing suport to the President of the Alliance. While her research interests have revolved around agro-ecology, Grace’s systems-thinking approach to sustainability has thus far resulted in a career spanning from international community development to Fair Trade and social enterprise to organic certification. Grace’s work has brought the privilege of collaborating with communities in Timor Leste, Hong Kong, Mexico, the USA, New Zealand, Fiji and Samoa. Her multicultural background has granted her an open mind for creative solutions and possibilities for change in challenging times. She welcome new ideas and opportunities for collaboration for a better world.